The practice of science is radically changing. Knowledge that was previously generated only within large institutional laboratories has become accessible on the small and networked scale while taking advantage of the interdisciplinary environment of practising biologists, machinists and designers. Biology Zero engages in a return to the roots of scientific investigation in the spirit of shared access to knowledge and tools. 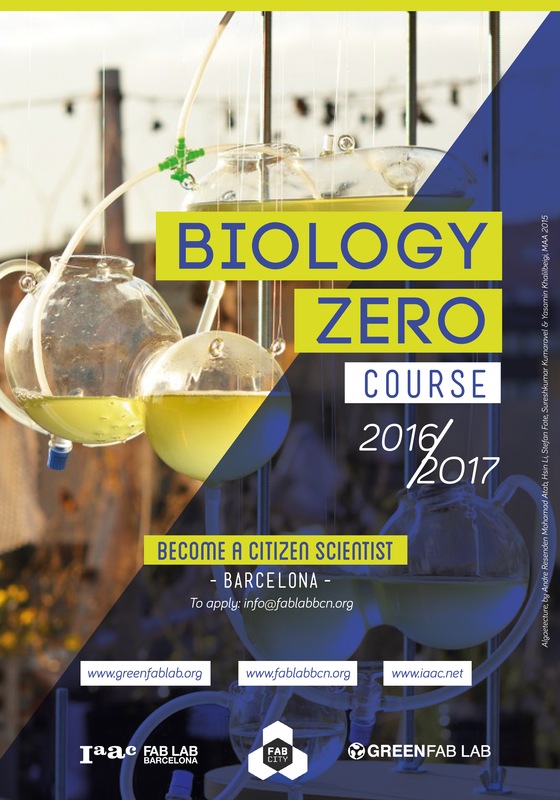 Biology Zero is a 10-day bootcamp of 80 hours held at the Green Fab Lab, IAAC’s rural campus. It offers an immersive study into the basics of biology, delivering knowledge of methodology and the instruments needed to become a citizen scientist. Participants will become familiar with a variety of microorganisms, learning how extract them from a samples taken onsite, observe them under a microscope and obtain an analysis their DNA. They will learn how to prepare the proper media to assure for optimal growing conditions and develop their own cultures. In order to do this, students will gain a practical experience of scientific concepts such as sterility, metabolism, genome, synthetic biology, biochemistry or microbiology. Students will not only learn to observe and describe the natural world but attain an understanding of how to actively experiment, design and engineer using their own instruments in a networked context. The course is also a valuable preparation for those who wish to take the “Bio Academy” program in synthetic and computational biology directed by George Church, director of genetics at Harvard Medical school amongst others. ACCOMMODATION : Options to stay onsite during week days are available by arrangement. Research papers : The importance of reading the field. DNA and its make up. Culturing of Micro-organisms, Alga, Bacteria and Yeasts. Preparation and maintaining sterile petri dishes. Bioreactors and implementing sensing devices. Sampling from the local environment. Extracting a DNA sample for analysis.